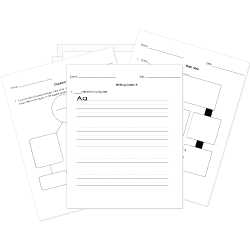 Check out our pre-made Grammar worksheets! You can create printable tests and worksheets from these Interjections questions! Select one or more questions using the checkboxes above each question. Then click the add selected questions to a test button before moving to another page. can stand alone or can appear with a sentence. Ouch! The husky bit Margot at the dog park, but Warren defended her honor. Choose the best interjection to fill in the blank.
! That was a great show! You got an A on your test. !
! There's a spider over there. Is the interjection expressing excitement punctuated correctly? Wow? We can see far more stars tonight.
! That was a close one!
! That is one big elephant! Which interjection best fits the sentence? (Gosh, Hooray)! I thought that I had more money than this. Choose the sentence where the interjection is used correctly. The chef at the restaurant made a wonderful quiche. Wow! He did a great job on the test. Hey John! Has the brick on him. Stop playing with those stolen guns. , get out of my way! A magician performs a trick. Which interjection are you likely to use? (Shh, Oh no)! The baby finally fell asleep.